Here is my current arsenal. 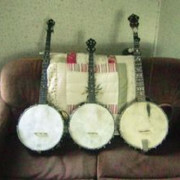 A no-name catalog banjo, an SS Stewart tenor and a banjo that I built circa 1978. I also have a number of banjoleles that I'll share later. phjim, Nice gang of banjos. 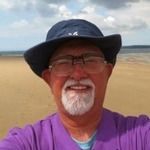 Somewhere in the past I have had two five-string banjos and a four string Tenor banjo. I enjoyed trying to play them more than the wife liked listening to them. Hey, Slowpoke, I thought I'd take your advice, but how do you get it to fit? That's good news, how about photos before and after. Here you go Derick. This is the R.S. 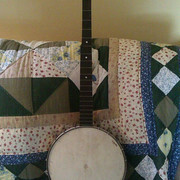 Williams banjo as it was when I got it. Here's the headstock. No tuning pegs came with it. 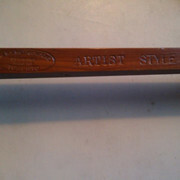 Here's the dowel stick with the name stamped on it. 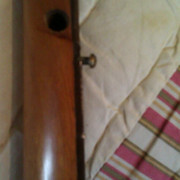 The "pip" or 5th string nut was a screw stuck into the fretboard. This will go. 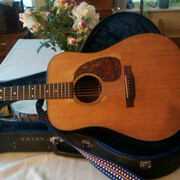 My friend, Ted, owns an R. S. Williams guitar made of koa. It's a beaut. 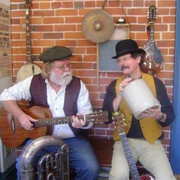 I'm playing it here in an early Maple Leaf Jug Band PR photo. I'll update this after I have the work done. 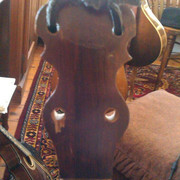 I think I'll string it with Nylgut strings. That should be a great couch Banjo, Nylgut strings, that's what I was thinking of. 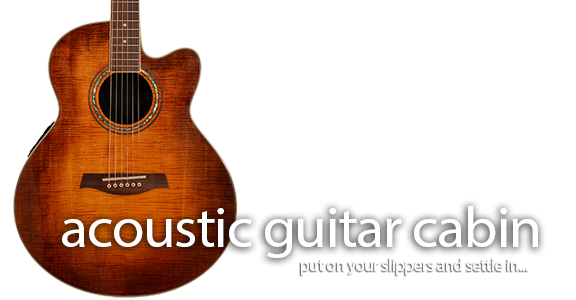 Playing guitar since: the early 60's with a 20 year hiatus during 80s-90s. plain Fender FB-55 gotten at liquidation price after models discontinued.